” She describes her current role with NACCHO as “going back to her roots” after many years working for the museum sector. At NACCHO she looks at health care policies seeking to promote health for Aboriginal communities. “Indigenous people are much more affected by chronic diseases because of their genetics so we try to help them and improve their situation. She has always followed a strategy to involve professionals from different origins into her teams. “I always wanted to be sure that our job vacancies were advertised on those media easy to access by migrant and indigenous communities. Dr Dawn Casey PSM FAHA , currently the chief operating officer for the National Aboriginal Community Controlled Health Organisation (NACCHO), has a solid background across multiple sectors. Dr Casey is the former chairperson of the Indigenous Land Corporation and Indigenous Business Australia, and a former director of the Powerhouse Museum, Western Australian Museum and the National Museum of Australia. In both 2012 and 2015, she was selected as one of The Australian Financial Review and Westpac 100 Women of Influence. 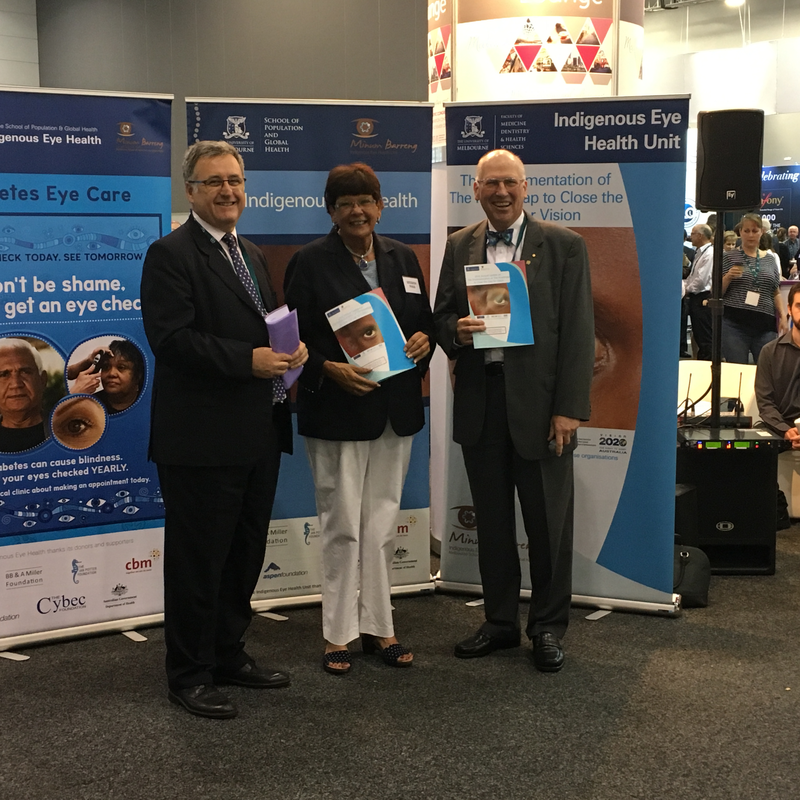 ” The National Aboriginal Community Controlled Health Organisation (NACCHO) in 2016 appointed a new Chief Executive Officer, Patricia Turner. NACCHO Chairperson, Matthew Cooke when welcoming Ms Turner and said he looked forward to working with her to build on NACCHO’s successes and continue work to improve the health of Aboriginal and Torres Strait Islander people across Australia. “We are thrilled to have a leader of Pat’s calibre join our team,” Mr Cooke said. “Her breadth of experience in senior leadership positions in government, business and academia for more than 40 years means she is well placed to continue to implement NACCHO’s strategic plan to enhance and expand the Aboriginal Community Controlled Health Sector. ” Like many Aboriginal and Torres Strait Islander people, I have always believed I had the responsibility to speak out and to help in any way I could. I was a little older than 13 in the 1960s when, attending homework classes arranged by the One People of Australia League, I explained how my parents were finding it hard to find a house. Not long after we had a house to rent. At that time I began to realise how unfairly I and other Aboriginal and Torres Strait Islander students were being treated. Living in Cairns, I didn’t fully appreciate how Australia had developed and continues to develop laws and policies that are racist and not conducive to creating and maintaining a just society. However, it is her experience within the arts that is especially remarkable. She has been in charge of the direction of three of the largest Australian museums: The National Museum of Australia, Western Australia Museum and the Powerhouse Museum. Raised in Cairns, Australia, Casey comes from the Tagalaka clan. As she explains, her personal experience and professional background has been determined because of her indigenous and female identity. She was denied access to education. “I always wanted to study French but it was not possible for indigenous people to take that course. Also, my parents would have never allowed me to do it,” she remembers. Casey’s story is a tale of hard work and overcoming obstacles. Her persistence had a clear intention. Being a woman made things even more complicated. “Sometimes I didn’t even have the opportunity to be interviewed,” Casey recognizes. Despite these difficulties, she has not allowed them to stop her having a successful career. Her career and contributions have been acknowledged with a number of awards, such as three Commonwealth Public Service Australia Day Medals. Remarkably for someone who has worked with so many of Australia’s leading museums, Casey admits that she only stepped into a museum for the first time when she was 30. “It was quite a boring experience,” she admits, but this experience convinced her of the power that these institutions could have to act as effective communicative tools able to make communities understand both their pasts and presents. “Museums usually talk about dead things, explorers and settlers,” says Casey. “They are the place to showcase very well-researched materials that make us aware of our history. These are extremely relevant. But I think that contemporary issues – that can be more accessible and interesting to everyone – should also fit in these spaces,” she adds. Casey has thus worked very hard to this end. While working as a director at the Powerhouse Museum in Sydney she helped to organize Muslim cultural exhibitions aiming to attract people from diverse communities to come together, techno-nights looking to engage younger generations, and even Harry Potter exhibitions seeking to capture the attention of children. “I think it is a matter of combining very in-depth researched topics with lighter subjects that can arrive to other types of audiences,” she explains. At the Salzburg Global Seminar session in February 2017, The Art of Resilience: Creativity, Courage, and Renewal, Casey helped to link the challenges affecting indigenous communities with other current issues such as the difficulties that refugees all over the world are facing. “They might look as opposite problems. But in my opinion they are both issues saying a lot about the nature of a country. In both situations, either when we stop a boat and do not allow people to enter our country, or when we do not recognize the rights of certain groups of people in their own land, we are disrespectful with human beings and this says a lot about the nature of a nation,” she states. 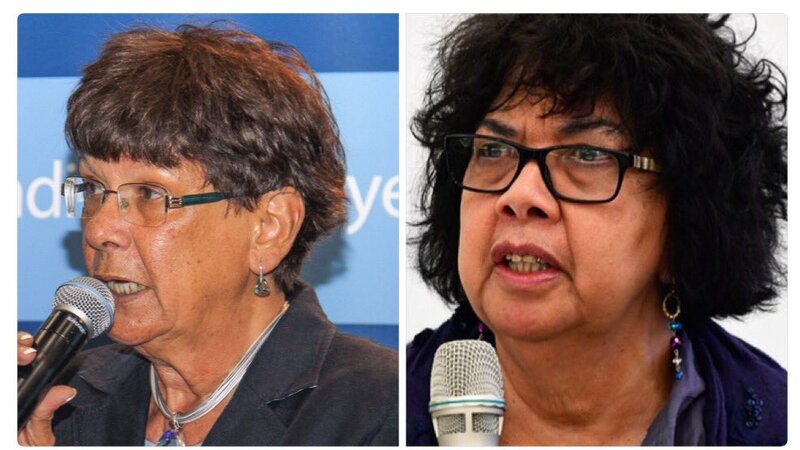 Born and raised in Alice Springs in the Northern Territory, Patricia (Pat) Turner ‘s long association with Canberra began with a temporary position with the Public Service Board, leading to the Social Policy Branch of the Department of Aboriginal Affairs (DAA) in 1979. Joining the Australian Public Service (APS) in Alice Springs as a switchboard operator in the Native Affairs Department , she moved to Canberra in 1978, joining the senior executive ranks of the public service in 1985, when she became Director of the DAA in Alice Springs, N.T. (1985-86). Pat then became First Assistant Secretary, Economic Development Division in the DAA, and in 1989, Deputy Secretary. She worked as Deputy Secretary in the Department of the Prime Minister and Cabinet during 1991-92, with oversight of the establishment of the Council for Aboriginal Reconciliation and with responsibility for the Office of the Status of Women among other matters. 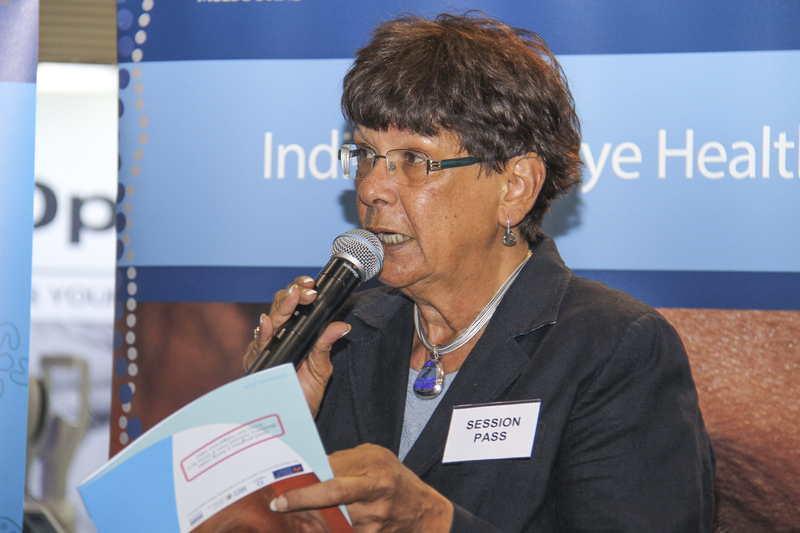 Between 1994 -1998, Pat was CEO of the Aboriginal and Torres Strait Islander Commission, which made her the most senior Indigenous government official in Australia. After stints in senior positions at the Department of Health and at Centrelink, Pat Turner left the APS and Canberra in 2006, returning to Alice Springs with her mother to live. There, she has continued to advocate on the behalf of indigenous people, including taking on what she described as ‘one of the best working experiences of my life’ as CEO of National Indigenous Television (2006 -2010). Other memorable experiences include the period when she was Festival Director of the 5th Festival of Pacific Arts in Townsville, Queensland (1987 -88) and when she held the Chair of Australian Studies at Georgetown University in Washington DC (1998-99). Turner holds a Masters Degree in Public Administration from the University of Canberra where she was awarded the University prize for Development Studies. Pat Turner, the daughter of an Arrente man and a Gurdanji woman, was born in 1952 and raised in Alice Springs. She had three Aboriginal grandparents and one white grandfather and asserts that ‘[t]he only thing I inherited from the latter was his surname’. From the other three she inherited a strong sense of family and Aboriginal identity that has been a constant source of strength and support throughout the course of her life, regardless of where she was living. She is related to Aboriginal activist and public servant, the late Charles Perkins though her paternal grandmother’s family line. The third of five children, Turner was a good student who loved to read anything and everything. A book about the Russian ballerina, Anna Pavlova, was one of her favourites, a fact that now makes Turner laugh. ‘I can see the humour,’ she says, ‘in a little Aboriginal girl in the desert idolising a graceful dancer from Russia, but I can’t really explain it!’ Life during term was a disciplined one with her mother and siblings, attending school, doing chores and homework and helping out her grandmother after school. During holidays, she would travel out bush with her Dad while he erected windmills on far flung properties. He was one of a handful of Aboriginal men who fought the odds to establish his own business. Although it meant he spent substantial amounts of time away from the family, it made a significant financial difference, not the least being the stability of home ownership. The family was able to gather the resources to build a brick home on the east side of town, away from the fibro cottages at ‘The Gap’ to the south. Another source of inspiration was that provided by the example of Uncle Charlie Perkins. In 1965, Woman’s Day magazine provided funds for thirteen-year-old Pat and her Nanna Hetty Perkins to travel to Sydney to attend his graduation from Sydney University. The graduation ceremony had a very big impact on her and the importance of the model provided by her uncle, who stressed the importance of education to improving the lives of indigenous people, cannot be under-estimated. Pat determined that she would get a good education herself, and approached the local welfare branch in Alice Springs with her high school reports, telling them she wanted to go to school in Adelaide. In her third year at high school, and with a day’s notice to travel, they agreed to her request. Living in a Church of England Girls’ Hostel that mainly housed white girls from the country, Pat began school in Adelaide at Adelaide Girls High School. She missed her family, but was not isolated from extended family. Indeed, she would attend Aboriginal Progress Association meetings with her Uncle John Moriarty, and met Don Dunstan on one occasion. Her time in Adelaide introduced her to Aboriginal politics and the history of their struggle for self determination and she brought that interest and commitment home when she returned for holidays. Turner transferred her enrolment to Nailsworth Technical College in her last two years so she could get some practical education in commercial subjects that she thought would help her to get a job. After obtaining her leaving certificate, she and some friends embarked on a working holiday around Australia. She stopped long enough in Melbourne to complete her matriculation through the Council of Adult Education. Turner’s career in the APS began in the early 1970s. Returning to Alice Springs from Melbourne, she joined the Department of Interior (Welfare Branch) as a switchboard operator. Her tenure coincided with the election of the Whitlam Federal Government in 1972 and the subsequent extensive changes to the administration of Aboriginal Affairs in Australia, including the creation of a specific Department of Aboriginal Affairs. One of Turner’s first acts as a public servant keen to influence the agenda was to request the role of driver for the Minister, Gordon Byrant, whenever he came to town, so that she ‘could talk to him directly about the way things are’. She was still in Alice Springs when her talent was spotted and she was selected to receive training in a new program to establish community welfare offices. Upon completing this education, she moved from administration into a role as a welfare officer, the first Aboriginal woman to hold the position in Alice Springs. She became adept at rolling out programs to assist Aboriginal youths at risk and worked hard at building collaborative links between branches of the public service in order to achieve better outcomes for the public. This was a skill that she was renowned for throughout the course of her career, whether the tasks be working as a liaison officer at the Commonwealth heads of Government Meeting (CHOGM) in Melbourne, in 1981, a member of the taskforce set to manage the Papal visit to Alice Springs in 1986, or directing the 5th Festival of Pacific Arts in Townsville, Queensland in 1987-88. As time went by and her experience developed Turner became more committed to the politics of self determination for Aboriginal people over the assimilationist policies that prevailed. At a professional level, this meant being a firm supporter of community based service delivery of health and welfare programs for Aboriginal people. It also meant that she became increasingly frustrated by the tertiary studies in community development and social work that she undertook in 1976 at the South Australian Institute of Technology. Moving with a radical group of students, she found the subject offerings did not engage deeply enough with need for real social change, instead offering ‘band aid solutions’ that weren’t relevant to Australian conditions. 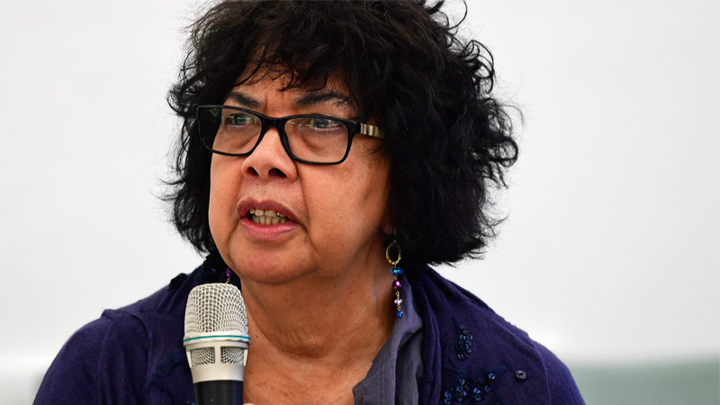 The mid to late 1970s were a time of deep political engagement for Pat, as she connected with the politics of women’s liberation, the union movement, the anti-uranium movement and the struggle for social justice and land rights for Aboriginal people. She was elected Vice President of the Federal Council for the Advancement of Aborigines and Torres Strait Islanders (FCAATSI) in 1976, and worked hard in the position to get students involved in Aboriginal politics. The organization itself underwent some stressful times, as the nature of Aboriginal politics changed and as funding for organisations became far more competitive. Pat eventually presided over the winding up of FACAATSI in the late 1970s. She moved to Canberra in 1978 and got a temporary job with the Public Service Board in the Equal Opportunity Branch, undertaking an audit of APS positions to identify those that should be filled by Aboriginal and Torres Strait Islander people. This gave her an ideal opportunity to learn and understand the APS pecking order, and the authority to shake up the thinking of some old heads. After meeting the human resources manager at the Department of Aboriginal Affairs, she was dismayed to be told that of a staff of two hundred, only twenty positions would be suitable! ‘As a junior officer, I found myself telling quite senior staff to reassess their thinking’. She also learned how resistant many individuals were to change. She used the time to observe, campaign, learn who was important, who had the power to get results, and how to get money to fund programs she was interested in. It was time well spent, because it provided demonstrable prove that a well prepared, effective public service could affect real change for the good. The summary note (above) indicates just how effective Pat was as a public servant. Determined to use her position as a place where she could demonstrate her value while encouraging new ways of thinking about the administration of Aboriginal Affairs, Turner never described herself as a rebel; rather, she was an administrator who was prepared to speak up and put racists in the public service in their place. She learned the value of good preparation, of treating staff and colleagues with respect and stressed the importance of diversity; of people, and experiences, to the public service. And while she argues that people like Lowitja O’Donoghue and Charles Perkins were the real Aboriginal leaders in the public service, she accepts that her climb through the ranks did provide her with positional leadership opportunities that gave her the power to influence policy matters. She was lucky to be able to combine her personal interests with positional leadership, but was careful to never abuse this privilege, through her scrupulous attention to process and her devotion to hard work. Leadership, for her, was balancing the best interest of the government with the best interests of Aboriginal people. As a public servant, she was always driven to serve Aboriginal people to the best of her ability while fostering open lines of communication with the minister of the day and providing full and frank advice. Turner retired from the APS in 2006, not particularly happy with the state of the organisation she was leaving, but happy about the prospect of spending more time with family and focusing on grass roots projects. She worked on the development of the recently launched (2013) National Indigenous Television until 2010. In 2011, she was appointed to the advisory council of the Australian National Preventative Health Agency. Her much loved mother, whose courage and commitment to family were a constant source of support, passed away in 2010. Turner now lives back in Alice Springs with her sister and niece. And no matter how dissatisfied she might feel about how her career in the APS ‘wound down’ she is, deservedly, very proud of her own career. ‘I’ve had a wonderful career,’ she says, ‘and I am grateful for the opportunity I had to contribute to nation building’.